Martin Stocker DDS is a modern, state-of-the-art practice offering Austin area patients a full-range of general dental services, from routine check-ups to Implant Restorations. Dr. Stocker practices conservative, proactive dentistry utilizing the latest in dental technology. Your comfort is always a primary concern, however we do not use Nitrous at our office. Misaligned teeth making you hide your smile? Make an appointment with Dr. Stocker to see if Invisalign clear braces are your solution to your perfect smile. 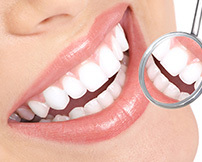 Miss your beautiful smile due to missing or damaged teeth? 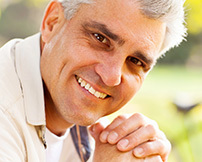 Come in and consult with Dr. Stocker who provides the All on 4 dental implants! Get your smile back!